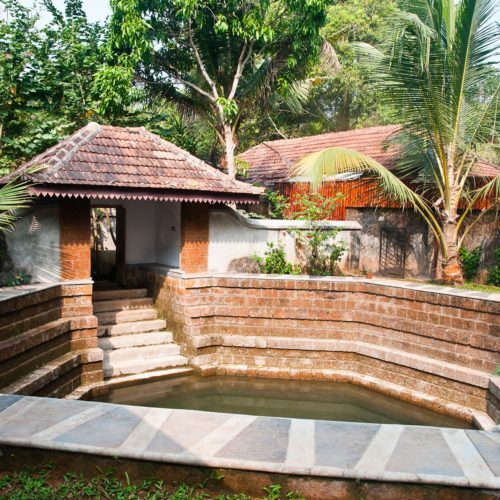 Chittoor Kottaram is a simple three-bedroom private villa Palace, constructed in the local Keralan style of cool whitewash walls, timber frames and tiled roofing, situated in the lush backwaters on the outskirts of Cochin. 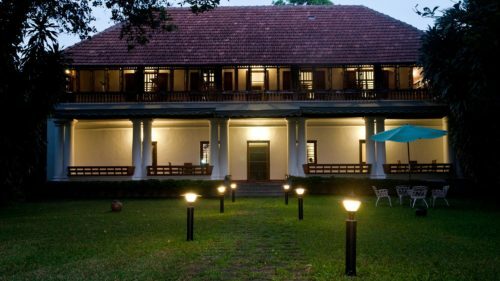 CGH Earth has leased the palace directly from descendents of the royal family of Cochin, offering it as a private villa residence, which can accommodate up to six people at a time. Guests arrive at the private palace by boat through a private canal and will follow in the footsteps of the Rajah of Cochin with a retinue of household staff on hand to cater to their whim. A chef will serve up local vegetarian delicacies and recipes from the royal household of Cochin, including banana fritters laced with honey, homemade chutneys and rice dumplings. 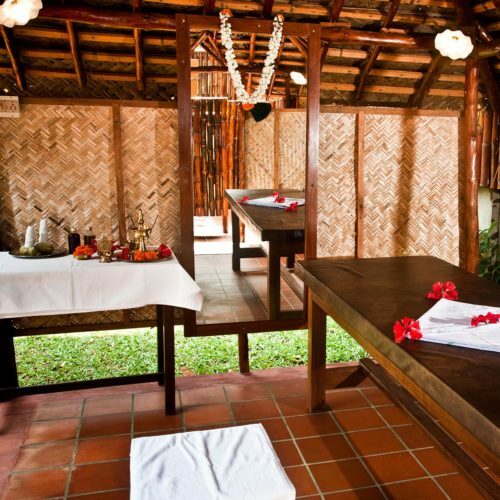 Local therapists are on hand to provide traditional Keralan massages. Chittoor Kottaram offers the opportunity to soak in the tranquility of Kerala experience, with opportunities to take private boat rides in the backwaters, fishing trips, and walking tours or simply enjoy relaxing in the extensive gardens.